Did you know that Arkansas has 5 IMBA Epic Rides, and that 3 of them are near Hot Springs? The International Mountain Bicycling Association (IMBA) has also designated Hot Springs as a Ride Center, for its bike-friendly resources and facilities. 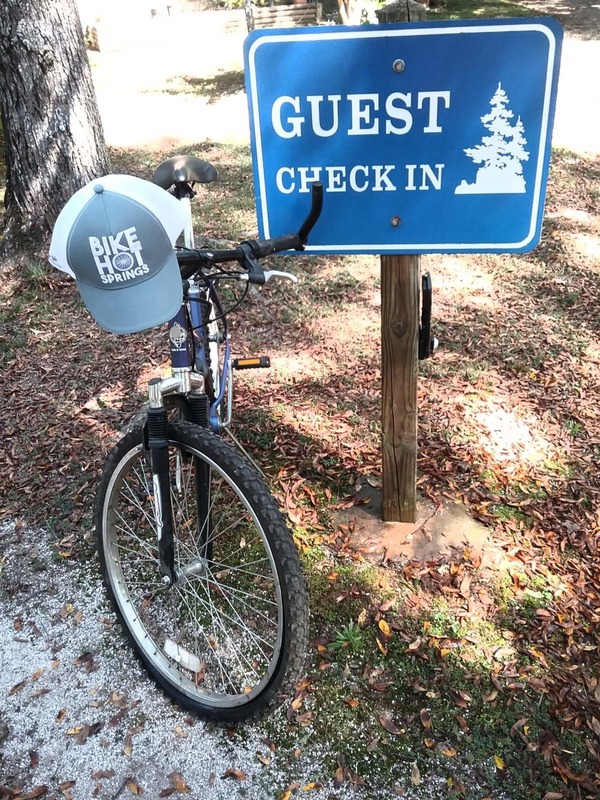 It’s no wonder then that our guests choose Tiffany’s Bed and Breakfast as their Hot Springs, AR, lodging option when they want to ride in our area! We are within 25 miles from 3 of the most popular trails: Iron Mountain Trail, IMBA Epic Lake Ouachita Vista Trail (LOViT), and Cedar Glades Trail. In addition to these excellent trails, Hot Springs will celebrate the grand opening of the Northwoods Mountain Bike Trail November 16-18, 2018! This first phase of the highly anticipated Northwoods Trails System is one of IMBA Trail Solutions’ largest trail projects, eventually consisting of 44.6 miles of trails in the woods surrounding the downtown area. Hot Springs can turn any event into a party, and this weekend will be no exception. Friday, Nov. 16 starts with a Slow Roll bike ride down Park Ave. and Whittington Ave. at 5pm, with an after event at Low Key Arts, located at 118 Arbor St. Saturday starts bright and early at 7am with the Spa Running Festival in Downtown Hot Springs, up to West Mountain. At noon, the public ribbon cutting ceremony for the grand opening of Northwoods Trails will be held, and there will be group rides until 5pm. On Sunday, Nov. 18, the Atilla the Hun Bike Race begins at 8am at Cedar Glades MTB Trail, which connects to the Northwoods Trail System. We have plenty of parking for oversized vehicles with bike racks, covered bike storage, and a wash station and tools for minor repairs. We’ll also send you off with a snack pack to enjoy during your ride! When your ride is finished, cool off with your favorite beverage on our front porch swing, then rest those tired muscles in one of our jacuzzi tubs! Mid-November should be a perfect time to view the fall leaves in our area as well, so bring your mountain bikes and join us for an epic good time!